Most online password managers require that Internet servers are being used for most of its functionality. Wile that is certainly beneficial at times, to access the password vault from any device and location for instance, it should raise security concerns as well. Considering that the password database is stored on remote servers that users don't have full control over, it makes the database vulnerable to attacks that a local solution is protected from. That's the main reason why I'm using KeePass, a local password manager available for various operating systems and browsers, instead of a remotely hosted solution. The password manager 1Password is a popular cross-platform password manager. While not free, it is available as an unlimited trial version for Windows and Mac devices. Up until now, it used online servers to synchronize data and make it available across devices. The most recent version of the password manager for Android changes that as it supports WiFi synchronization as well now. This introduces a local synchronization option to the password manager to use this method and avoid the cloud completely. It needs to be noted that 1Password supported a local storage option previously which allowed the bypassing of the cloud as well but it was nowhere near as comfortable as WiFi Sync. cWiFi Sync works if devices are connected to the same local network. If that is not the case it won't work and you need to make sure that the devices you want to sync data between are connected to the same network. 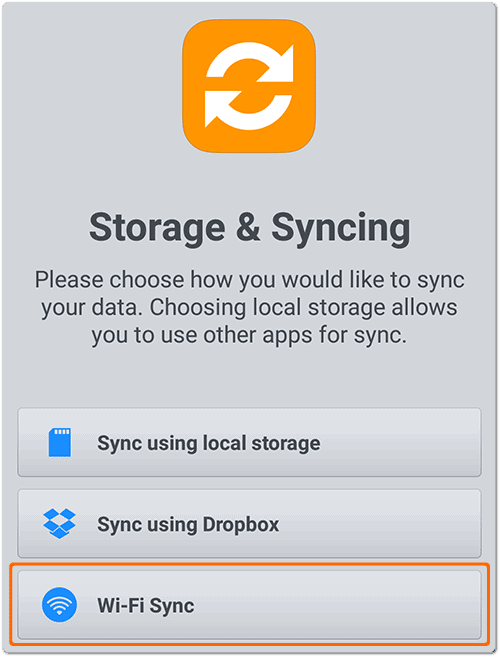 The synchronization itself uses standard Android APIs and no third-party libraries. Setup itself depends largely on the availability of password vaults. The system supports first-time users and existing users. It works by enabling WiFi Sync on the Windows or Mac version of 1Password, entering the WiFi Secret displayed in the program you are using on Android, and following the instructions provided afterwards. Basically, if a password vault exists it is synced otherwise a new one is created. If an existing vault is discovered you are asked to enter the master password to sync the data. The new WiFi Sync option will make 1Password attractive to users who don't want to store important data on third-party servers. While it still requires WiFi, meaning that it will only work if PCs or Macs that are used support it as well, it improves the password manager overall. Information on setting up WiFi Sync for 1Password have been posted on the official Support website.Technical details are available on the Dev blog instead. Now You: Do you prefer a local or online password manager, and why? The Android version of 1Password, a popular cross-platform password manager, supports WiFi sync in its latest version. We take a look at the new feature. Previous Post: « Medium launches password-less sign ins: good or bad? I’ve been using 1Password for about a year. I like it, granted it’s $50, but I think it’s worth it and I would NEVER EVER EVER store a password database online you’re just asking for trouble, It’s one reason I opted to steer clear of LastPass. I don’t even store my 1Password set in dropbox, it stays all local and i have a few different backups in case of emergencies. Fairly good point actually Martin. I have been using Dashlane. It is very good, but the Windows program, is really really bad. So with your article I’ll probably moving to 1Password OR the more familiar KeePass. I never thought of the Database Attack which has been occurring for a few months now.